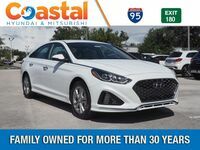 Hyundai continues to impress with their lineup of stylish and reliable vehicles and the 2019 Sonata is no exception. 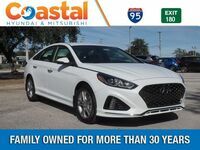 The Hyundai Sonata is one of the most popular sedans in the Hyundai lineup and the 2019 model brings new features and details to make this the best Sonata yet. 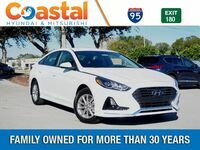 The 2019 Hyundai Sonata is available in five powerful trims – SE, SEL, Sport, Limited, and Limited 2.0T - with a starting price tag of $20,300. Drivers in the market for a new vehicle may be wondering if the 2019 Sonata is the sedan for them. 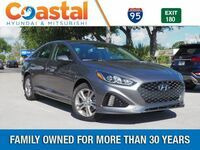 That’s why we at Coastal Hyundai have put together this 2019 Hyundai Sonata vs 2019 Honda Accord comparison to show you just how well this Hyundai stacks up against the competition. Continue reading to learn all about the Sonata or click the link below to view our full Hyundai Sonata inventory. 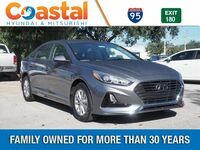 What are the differences between the 2019 Hyundai Sonata and 2019 Honda Accord? The 2019 Hyundai Sonata is powered by a 2.4-Liter 4-cylinder engine paired with a 6-speed automatic transmission with SHIFTRONIC®. This combination generates 185 horsepower at 6,000 rpm and 178 pound-feet of torque at 4,000 rpm. Drivers looking for more power out of their Sonata can opt for the Limited 2.0T trim, powered by a 2.0-Liter 4-cylinder Twin-scroll Turbo engine. This model generates an adrenaline-pumping 245 horsepower at 6,000 rpm and 260 pound-feet of torque at 1,350-4,000 rpm. The competing 2019 Honda Accord has a starting price of $23,720 and is powered by a 1.5-Liter VTEC® turbocharged 4-cylinder engine paired with a continuous variable transmission. The Hyundai Sonata has earned an EPA-estimated fuel economy of 26 city/35 highway/29 combined MPG. This fuel economy paired with an 18.5-gallon fuel tank gives Sonata drivers a driving range of 481 city miles to 647.5 highway miles on just one tank of gas. The competing Accord has an EPA-estimated fuel economy of 30 city/38 highway MPG paired with a 14.8-gallon fuel tank. This pairing gives Accord drivers a one-tank driving range of 444 city miles to 562.4 highway miles. Inside the 2019 Hyundai Sonata drivers can bring the sunshine in with the available power tilt-and-slide sunroof. Looking for more sunlight in your Hyundai? The Sonata also offers an available panoramic sunroof to give you your most enjoyable ride yet. Additional features found in the 2019 Hyundai Sonata are a standard rearview camera, Android Auto™, Apple CarPlay®, available heated steering wheel, available Smart Cruise Control with stop/start capability, and more.